The Ra band came about as a result of the contributors to what was to be Rob Andrew's third solo album. 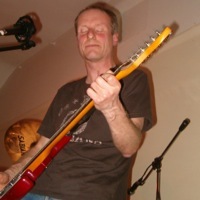 David Groves (guitars and occasional keyboards) had been working with the music since 2003 when the band started assembling the material. After a couple of years of developing the core material it became obvious that they needed help. 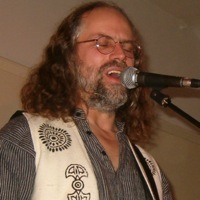 Rob knew Steve Hillman's work and recognised that not only was he a great keyboard player but he had also released a stunning progressive album called "Convergence". With Steve's welcome presence it was felt that a real drummer was critical for the album, and Dai Rees was invited to fill that role. This line-up went on to record the instrumental albums "Wake" and "Ra Rising". The next step was to introduce vocals into the mix. Richard Benjamin was invited to contribute on the basis of his work with Magenta Crumpet. Soon after this David became unavailable due to other commitments and Brian Jones stepped in on guitar. This current incarnation of the band has taken the name Ra Rising. Richard's connection with progressive music came with his first, schoolboy, album purchases, 'In Search of Space' followed by 'Trilogy', and has continued through to the present day. A multi-instrumentalist and skilled song writer he played bass with 70s prog outfit 'Civilian', and keyboards in the 80s with 'Youth In Asia' before settling for many years with the Bonzos influenced 'Magenta Crumpet', contributing vocals, guitars, bass, keyboards and four notes on a trombone. When the invitation came to join the Ra project as vocalist Richard jumped at the chance to be involved with such a strong and established unit, welcoming the added opportunity to further demonstrate his songwriting skills. Having taken up guitar in his teens Brian has a wealth of experience, and is equally at home on both electric and acoustic guitar. 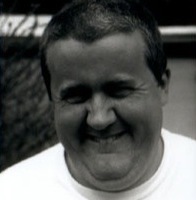 Brian played a pivotal role in the mighty Magenta Crumpet, co-writing many of the songs and contributing some wonderful solo work. These skills have now been translated to the Ra Rising project. 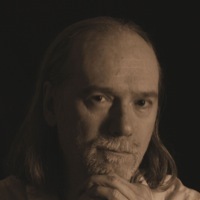 Steve first started making electronic music in the early 1970’s and from the 1980’s onwards he released a series of solo albums and played at several music festivals in the UK. Playing synths, keyboards, aardvark and electric guitar his music in that period was inspired and influenced by early Tangerine Dream, Klaus Schulze, Pink Floyd and space rockers Hawkwind & Gong. After ten solo albums, in 1993 Steve was signed to the UK progressive rock label Cyclops Records who released four CD albums worldwide. Steve’s music by then had taken off in a more progressive rock direction. Way back in 1988 Steve first met the Land of Yrx’s bassist Rob Andrews at a music festival they were both playing at and at Rob's instigation he appeared on several compilation albums. In 2004 Rob invited Steve to play keyboards on a new project he was working on which eventually blossomed into Ra and the resultant album WAKE. Former "sonic terrorist" in the band The Land of Yrx, and schizophrenic solo artist, Rob has also worked in blues bands (Coot, JR and the School of Sincerity), rock bands (Tantrum, Zizka), jazz/fusion duos (Poco Loco, Fusebox) and a zydeco band (Joe-le-Taxi & the Zydeco Specials) among others. The Ra Rising band (formerly the Ra band) is a development from his recent solo career and represents the culmination of his "I'm right, you’re wrong" style of music making. "Cogito, Ergo Sum" (= "I think, therefore I work") makes much more sense! NB Cogito = I think, Ergo = I work, Sum = therefore – I don't agree that Latin has to obey English syntax (around 20%). "He who hesitates is last" makes more sense! Don't expect me to be sensible when asked for content. I'm not content! 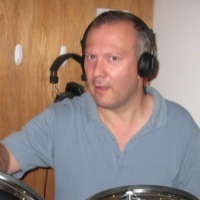 Dai Rees has drumming credits that are as varied as his music collection! He has played drums in everything from rock bands and tribute bands to musicals and male voice choirs although its the rock genre where he feels most at home. He grew up (or maybe he didn’t!) listening to the rock bands of the 70’s and played drums with the noted Midlands band Justice both live and on their celebrated ‘Never A Sober Moment’ album. It was whilst playing drums with the rock and blues band Coot that he first teamed up with Rob Andrews and David Groves. Years later they both approached Dai to play drums on one of the old Coot tracks for Ra’s ‘Wake’ album and it soon became apparent that he should play drums for the whole album. With the latest album ‘Seize the Day’ he has also contributed the lyrics to some of the tracks. Recently he has also written lyrics for artists such as Neil Saunders and Sometime Wonder as well as co-writing a book called ‘Why are you pretending to be normal?’ He has just completed lyrics for Steve Hillman’s latest solo album ‘Live for Today’ which is also due for release in 2014.